When travelling in a motorhome most of your power needs can be fulfilled by gas or 12V electricity – sometimes though you need a hit of mains power! This can be achieved when away from mains hook-up or without using a generator through the use of an inverter – a device that converts 12V DC power into 240V AC for use by mains appliances. They range from small (~100W) devices that plug into a cigarette lighter socket through to massive hard-wired multiple kW units to suit all applications. 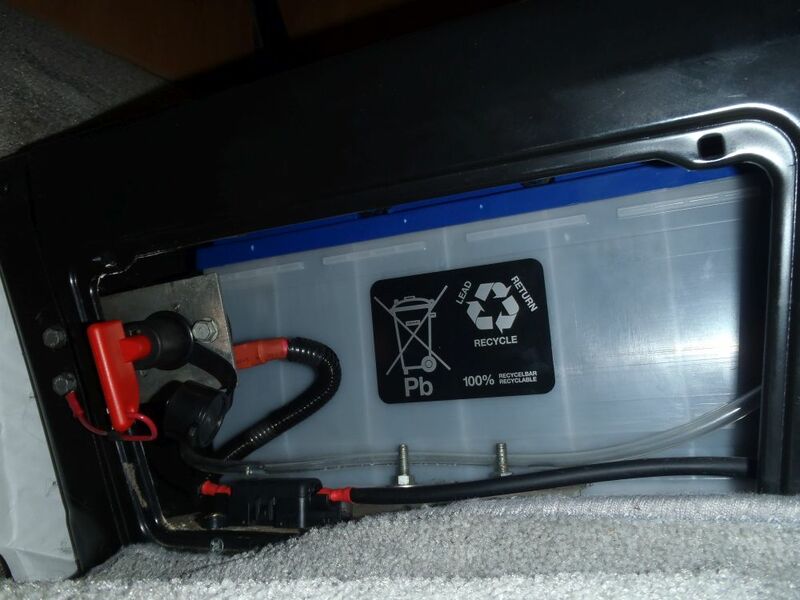 Will your 12V system cope? Modified Sine Wave or Pure Sine Wave? How will you fit and wire it? More power means more size and more cost – so it makes sense to size the unit for your requirements. That said, selecting a bigger inverter helps future proof you against needing to run powerful items you haven’t thought about yet! I mainly wanted to be able to run a hairdryer and a microwave so I selected a 1500W continuous inverter. Most appliances have their power requirements written on them somewhere but be careful with things like Microwaves as the power rating on the front is the heating power, not the input power – my 600W microwave actually takes something like 1100W on the input to create that heat! For this reason unless you have huge battery banks on board Inverters are best suited to appliances that run only intermittently, or for short periods of time. This is fine for my Microwave and SWMBO’s hairdryer, but don’t think you can use that electric fan heater to keep you warm overnight when powered from your inverter. 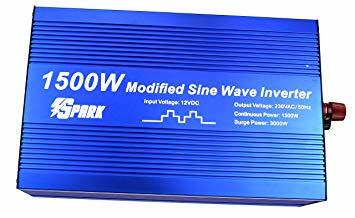 There are two main types of inverter on the market, pure and modified sine wave. Household mains voltage is a pure sine wave and pure sine inverters are designed to closely mimic this voltage. Modified sine wave inverters produce a much looser approximation to clean mains voltage, but are smaller and cheaper because they require fewer sophisticated electronics. Sensitive equipment such as computers and televisions can potentially be damaged by modified sine wave inverters, but most equipment will run just fine on them. Most sensitive equipment however is very low power so if you are worried about this a good solution is often a large modified sine wave inverter, and a small cigarette lighter powered pure sine inverter for your sensitive stuff – these two together will usually be cheaper than a single large pure sine inverter. Following this logic I chose a modified sine wave version for our 1500W inverter – It makes no difference to our hairdryer and the only noticeable difference with the microwave is the turntable motor is a bit noisier. As mentioned above a high power inverter needs very large cables to supply it, so you need to select somewhere to mount it that you can easily get bulky cables from your batteries to the inverter itself. It will also get hot when being worked hard so needs adequate ventilation. 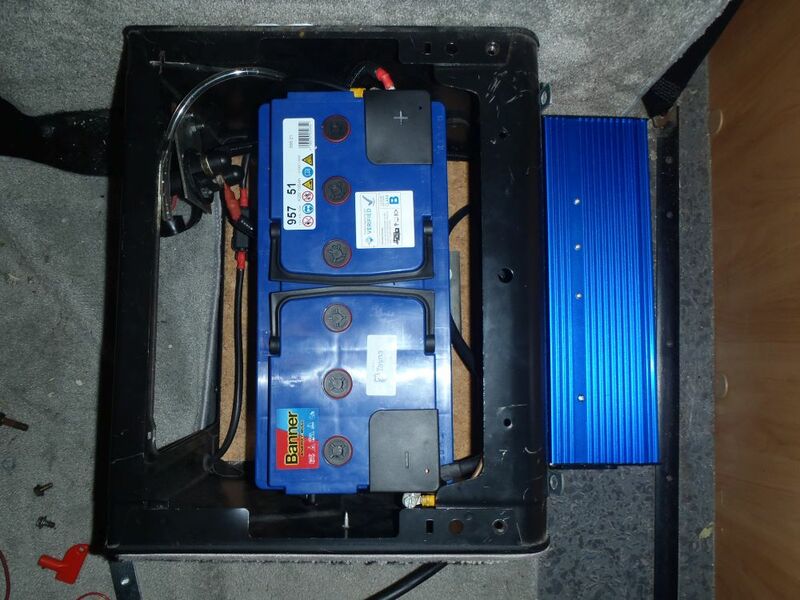 I’ve got 2x 110Ah leisure batteries in the Hymer, and I mounted the Inverter right next to one of the battery enclosures to keep the cable lengths short. I also fitted an isolator switch to the inverter power feed, partly for safety and partly to prevent any quiescent current contributing to battery drain when the Inverter is not being used. 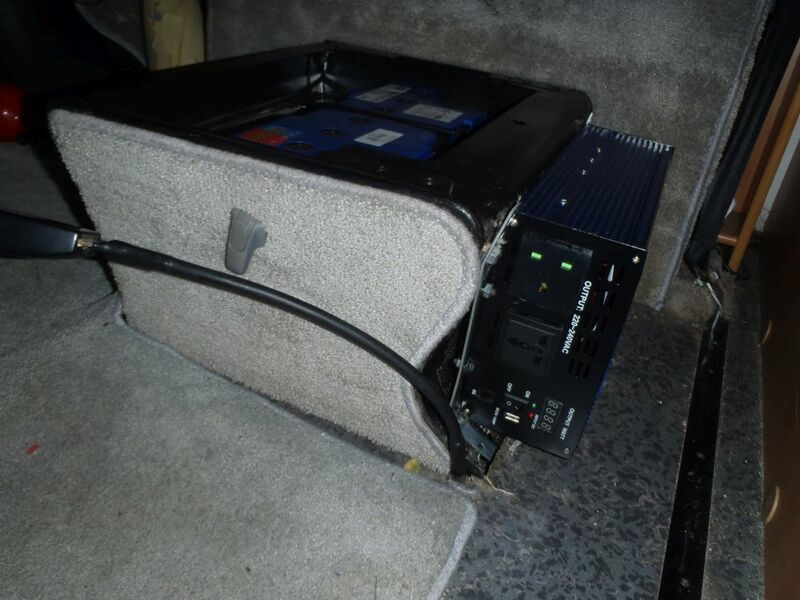 The leisure batteries in our Hymer are mounted underneath the two cab seats, and there is a handy space behind the passenger seat to house the inverter. I knocked up some simple brackets to hold it vertically only the back of the seat base. This also meant very short power leads to the inverter, which is ideal.